Short barrel performance that goes the distance. 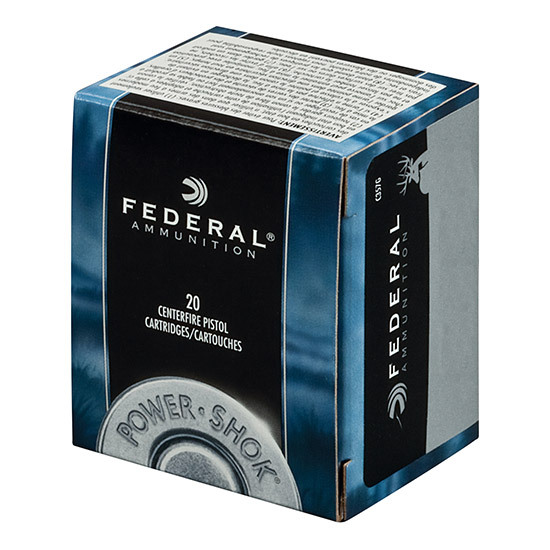 Handgun hunters can get the reliability and accuracy they need at an affordable price with Federal PowerShok loads. The rounds feature a powerful jacketed hollowpoint bullet suited to a variety of big game.